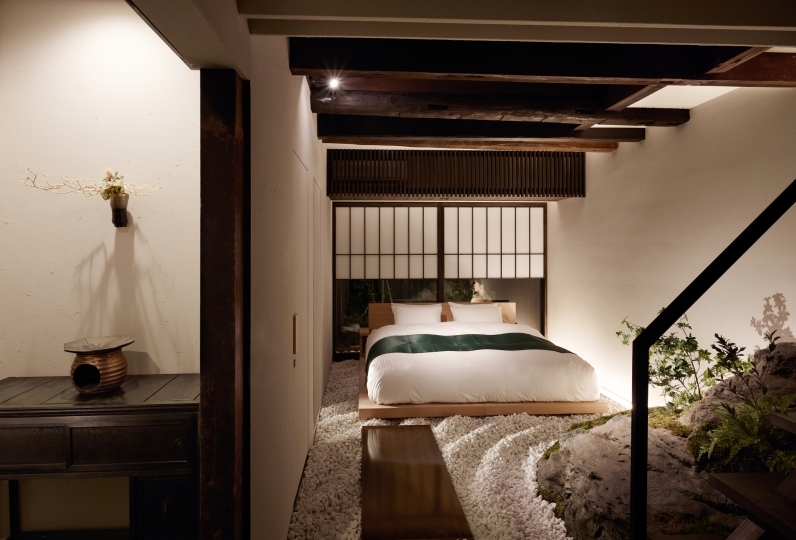 Heihachi Tea House Inn is an old lodging that has been inheriting the mind of Japanese elegance since the Azuchi-momoyama period. 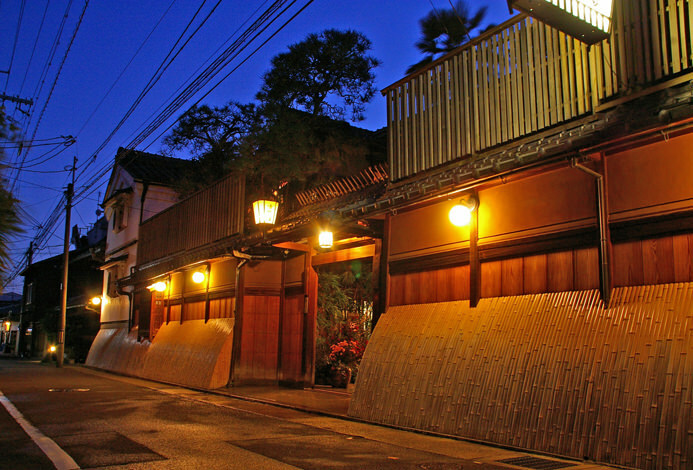 Heihachi Inn continues to deliver traditional taste and skills, as well as the spirit of hospitality cultivated in the past 430 years. 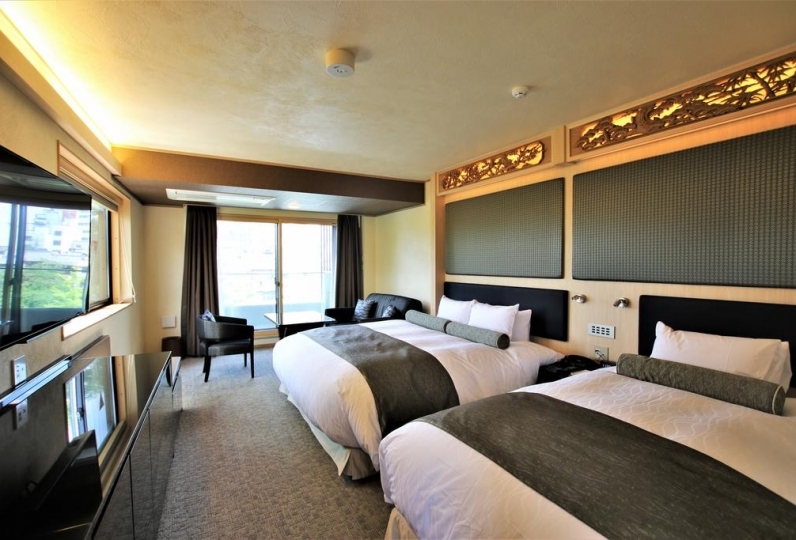 since the establishment of the inn and is one of the favorites among travelers. 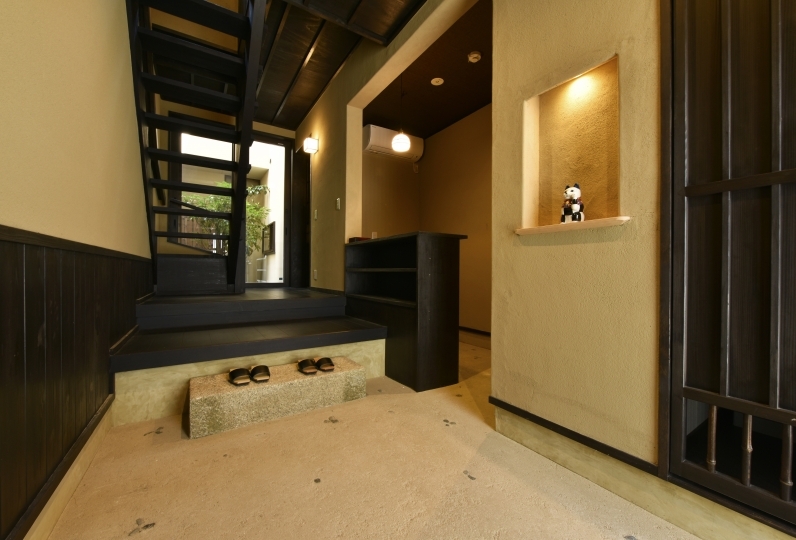 It is said that great historical figures such as Soseki Natsume and Shiki Masaoka also enjoyed their stay. 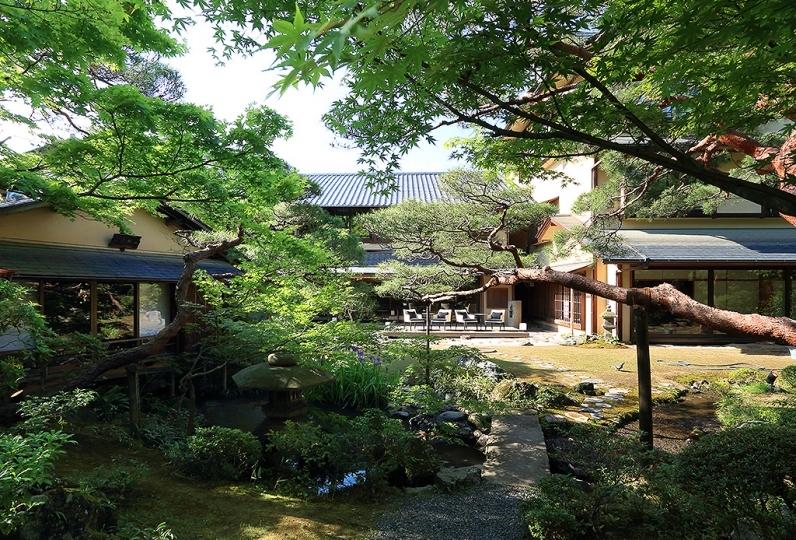 Heihachi garden, which is tastefully laid out with the essence of four seasons with scenery of Higashiyama and the Takano River, provides comfort as an oasis combined with beautiful transition of nature. Special time spent with authentic Kaiseki dishes paired with the view of the river would become one of the memorable moment of your life. 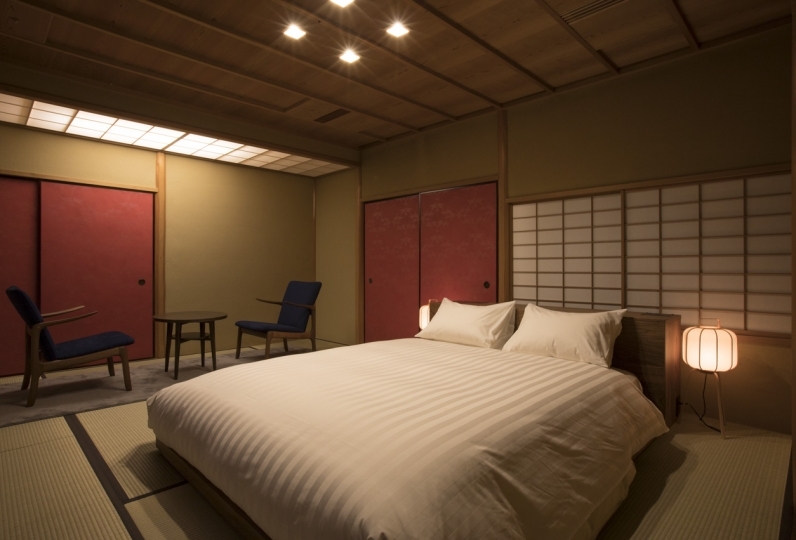 After the delicious dishes and scenery, you can enjoy "Kamaburo" (steam bath), which is rare in Japan. 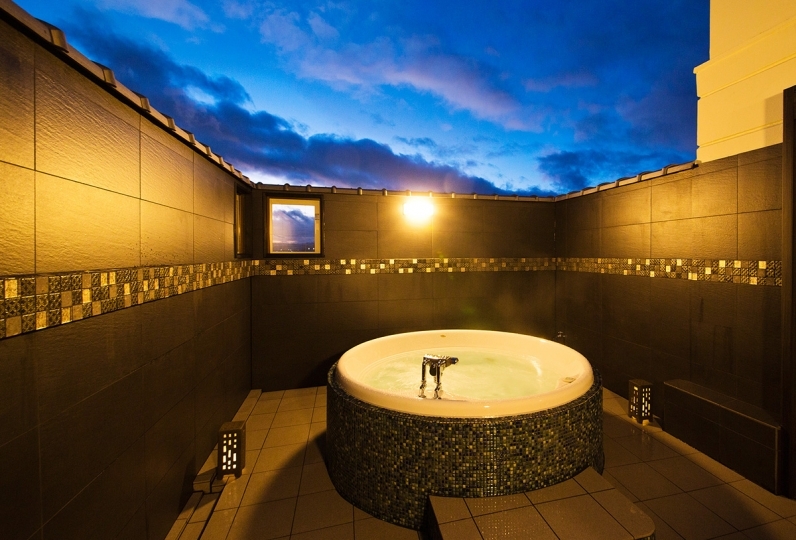 Warm yourself up in the sauna to relieve the weariness of the journey and wash your sweat off in the bathroom to get refreshed. 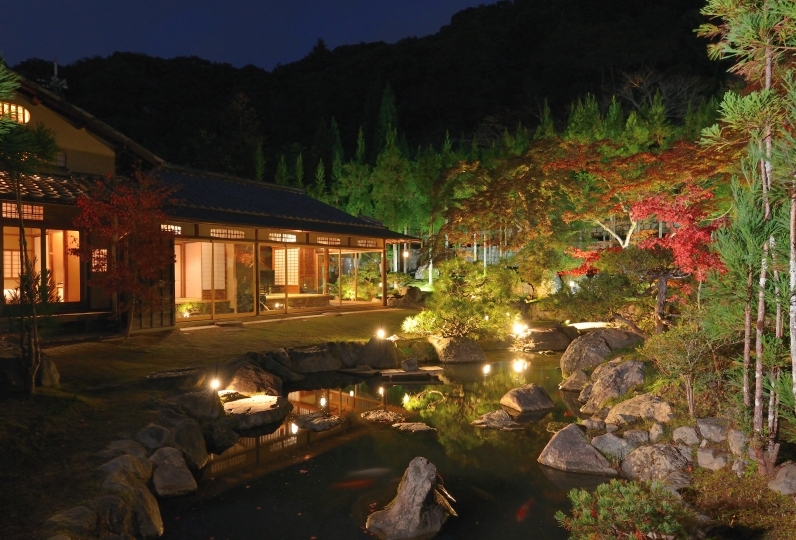 You can spend rest of the quiet night in relaxation in the cozy music of the Takano River. and rest in relaxation as one of the travelers in its long history. It was very at home. Inside of Kamaburo is a Japanese style steam sauna which is good for neuralgia, rheumatism, hemorrhoid, gastrointestinal disease, and asthma. Lay down on the straw mat with a ceramic pillow under your head to relieve your fatigue thoroughly. 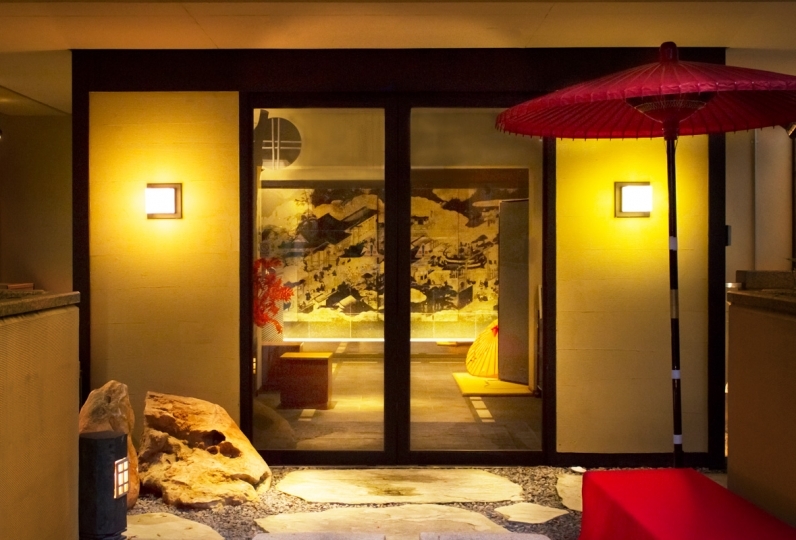 You can wash your sweat off in the public spa after using Kamaburo and enjoy a quiet night of Kyoto. The bath is open from 7:00am to 9:00am and 4:00pm to 10:00pm. Delivery service is 750 yen per one baggage for one way. 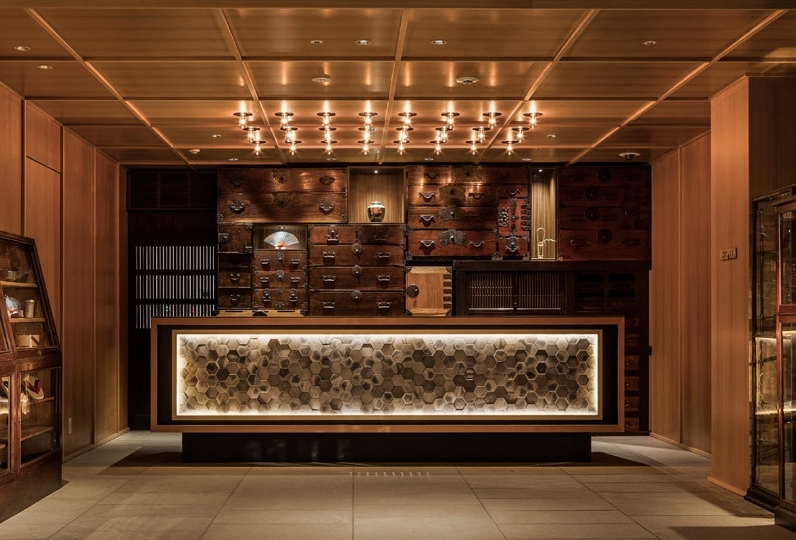 Travel light and enjoy your Kyoto tour. 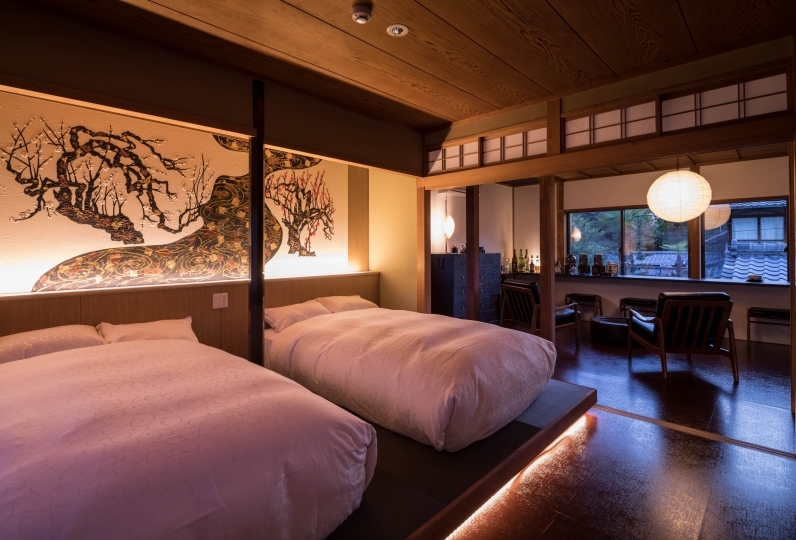 ・After October 1st, 2018, Kyoto city accommodation tax will be added separately. Up to 20,000 JPY: 200 JPY, 20,000 JPY ~ 50,000 JPY: 500 JPY, 50,000 JPY and above: 1000 JPY. Approx. 20 min by Kyoto Bus from Shijo-Kawaramachi St. (Bound for Yaseohara17, 18, Iwakura Jissoin 21, Iwakuramuramatsu 41). The hotel is next to "Heihachimae" bus stop. 7 min by taxi from "Kitayama St. (Exit 2)" on the Kyoto Municipal Subway (Karasuma-Line). Approx. 20 min walk from "Matsugasaki St." on the Kyoto Municipal Subway (Karasuma-Line). 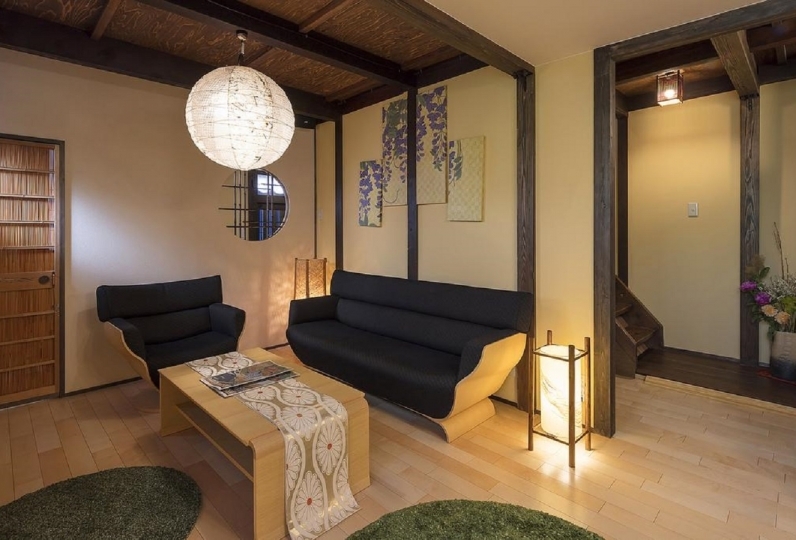 Approx 5 min walk from "Shugakuin St." on tne Eizan Electric Railway.